When a doctor prescribes medication, they will give their patient information about how to take it. This includes instructions on how many times per day to take it, the size of the dose, and whether the medication should be taken with food, water, or on its own. These instructions are very important because many prescription medications can be addictive and lead to substance abuse. According to the Centers for Disease Control and Prevention, pharmaceutical misuse or abuse led to emergency room treatment frequently, with visits to emergency rooms related to such misuse increasing 114 percent between 2004 and 2011. In 2011 alone, over 14 million people in the United States reported non-medical use of prescription medications in the past year. 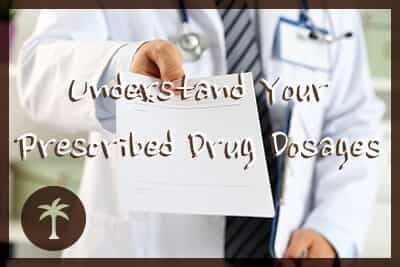 Understanding how these medications are made, how they should be taken, and how they should be stored can help prevent prescription drug abuse. What Other Ingredients are in Prescription pills? The active ingredient in a prescription medication is the main chemical that creates the therapeutic effect (e.g., stopping pain, reducing anxiety, etc.) in the body. An inactive ingredient, in contrast, is an important chemical not designed to create an effect in the body; instead, it is used to help the active ingredient release slowly over time, improve long-term storage and stability, bind the pill or liquid together, or change the color or flavor. The Food and Drug Administration (FDA) approves inactive ingredients used in prescription medicines for safety. While inactive ingredients do not influence many people, they may cause allergic reactions in some individuals. Some people may also be sensitive to sugar substitutes, dyes, and alcohol that are used to bulk up the product or enhance the medicine’s effectiveness. Some inactive ingredients help to release the medication more slowly into the body when the drug is taken as prescribed. If the medicine is not taken as prescribed – for example, if OxyContin is crushed and snorted – then these ingredients are not effective. Inactive ingredients are different in brand name and generic drugs, so some generic drugs do not work the same way their brand name counterparts do. Why Do Some Medications Need to be Refrigerated? Prescription and over-the-counter medications have expiration dates, and they will break down when exposed to extreme temperatures (usually over 86 degrees Fahrenheit), sunlight, or too much humidity. While many prescription medications are shelf-stable, meaning they can remain indoors at room temperature for a few years, some prescription medicines have to be kept at specific lower temperatures. Often, this means refrigerating these drugs. Refrigerating these medicines prevents them from rapidly breaking down and losing their effectiveness, or even rotting and becoming toxic. Liquid suspensions are especially prone to breaking down fast when their temperature is not stabilized; however, some orally ingested liquids, gel capsules, and injections may also require refrigeration. It is important to be clear with the prescribing physician regarding whether or not a medicine needs to be refrigerated. Why Should Some Pills Be Taken With Food? Food reduces stomach problems: Some medicines can lead to side effects like nausea or vomiting, and being taken with food reduces these side effects. Prescription drugs can also cause inflammation of the stomach or bowels, heartburn, or increases in stomach acid that may lead to ulcers; however, when the stomach is activated in the digestion process, these side effects may be less intense or may not occur. The prescription is supposed to treat digestive problems: Some prescription medicines treat acid reflux or the more serious gastroesophageal reflux disease (GERD). When the medication is taken with food, it reduces the amount of stomach acid or neutralizes some stomach acid, so the person feels better while they are digesting their meal. Food helps to release the medicine into the bloodstream: While some medicines have time-release properties, others rely on the digestive process itself to release the proper dose into the body. The medicine helps the body process food. People with diabetes, for example, may take medication with, or just after, eating a meal, so their body will appropriately adjust blood sugar levels. What Effect Do Nitrates Have When Taken With Other Prescription Medications? Nitrates are prescription medications that treat or prevent heart pain, coronary disease, or heart attacks. Mixing some medications with nitrates can increase the risk of heart problems, bleeding, or blood pressure problems. Anticoagulants like warfarin and heparin should be used with caution while taking nitrates, or the prescribing doctor should switch their patient to a different combination of medicines. Tricyclic antidepressants and nitrates can reduce the amount of saliva a person produces, leading to dry mouth. Nitrates reduce blood pressure, so other medicines with the same side effect may reduce blood pressure enough to cause fainting or other dangerous symptoms. Similarly, drugs that increase blood pressure may interact poorly with nitrates, leading to angina (heart pain). What Should You Do If You Miss a Dose of a Benzodiazepine Medication? Benzodiazepines treat anxiety, panic attacks, seizures, and hyper-stimulation of certain areas of the brain. They rapidly induce a sense of calm and relaxation. Unlike antidepressants, benzodiazepines do not require weeks to build up in the body and become effective; instead, they act immediately, which is one of the reasons they are only prescribed for up to two weeks at a time. If a person misses a dose of their benzodiazepine medicine, like Klonopin or Xanax, they can take the dose as soon as they remember; however, if they have another scheduled dose soon, they should not double up on the medicine to make up for the missed dose. Increasing the dose of benzodiazepines can lead to intoxication and potentially substance abuse or addiction. How Should a Person Dispose of Unused Prescription Drugs, Including Opioid Medicines? People who receive prescriptions for opioid medicines and do not need to take the full prescription should safely dispose of these drugs. This helps to prevent the temptation to take more than required, which may lead to opioid addiction. It also helps prevent others, who may struggle with opioid addiction, from stealing the medicines. The FDA suggests that people with unused prescriptions take the remaining drugs to a site approved by the Drug Enforcement Administration (DEA). The DEA’s website offers information to help people find authorized prescription drug collectors in their area, by zip code or city and state. Many doctors’ offices, pharmacies, drug stores, and other locations are authorized to take unused prescription medicines and safely dispose of them.